SmartLipo Triplex laser body sculpting is a minimally-invasive procedure that reduces the risks and costs associated with traditional methods of fat removal. Designed to be safer and more effective, this laser contouring cosmetic surgery has set the industry standard for laser lipolysis. Like the two other laser cosmetic surgery options performed by Dr. Gina Farinholt, the SmartLipo Triplex system is developed by Cynosure. By incorporating three wavelengths of thermal energy, the system can be customized for your specific problem areas; and offers high-definition body sculpting for the abdomen, rear, upper thighs, and even the upper arms. It is the leading procedure for fat removal with less downtime, bruising, and swelling. After your consultation to discuss the areas concerning you, Dr. Farinholt will apply a local numbing agent on the areas to be treated. She will then make small incisions and insert a pen-tip-sized laser (1mm) beneath the skin. Next, she applies a blend of the three thermal energy wavelengths to blast and melt away the fat. Like traditional liposuction, the ruptured fat cells are gently sucked out of the body; however, because the heat produced from the treatment directly targets the fat-storing adipose tissue layer, it also enables the skin to tighten and tone itself naturally, leaving behind no excess skin. The SmartLipo Triplex system is unique because of the addition of the 1440 nm wavelength — this thermal frequency has proven to be more readily absorbed by the fat-storing cells, resulting in a 40x greater reduction of adipose tissue as compared to traditional liposuction. As with other minimally-invasive procedures, some side effects can be expected with laser body sculpting. A SmartLipo Triplex procedure may result in mild to moderate bleeding, bruising, and swelling; as well as tenderness around the incision site. Because the procedure does not require general anesthesia, patients typically heal faster and experience fewer side effects that with traditional cosmetic fat removal. 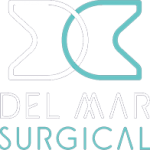 If you’re looking for a safe and effective way to remove unwanted fat without the risk of traditional surgery, consider SmartLipo Triplex laser body sculpting from Olde Del Mar Surgical. It’s easy to learn more about laser body sculpting and the other minimally-invasive cosmetic procedures available from Dr. Gina Farinholt. 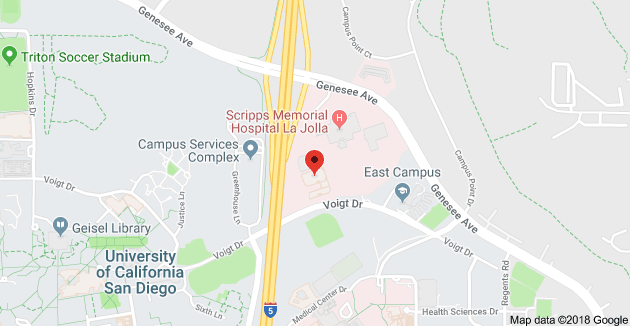 Simply schedule your consultation online or call (858) 457–4917 today.